Home>About NPBFX>News>NPBFX is the winner of the IAFT Award «The Best Broker of the CIS 2018»! NPBFX is the winner of the IAFT Award «The Best Broker of the CIS 2018»! We are pleased to announce that NPBFX finished the past year with a victory in the prestigious IAFT Award «The Best Broker of the CIS 2018». The founder of the award is the International Association of Forex Traders (IAFT), which organized a voting among more than 200,000 IAFT traders from Russia and other countries of the world. 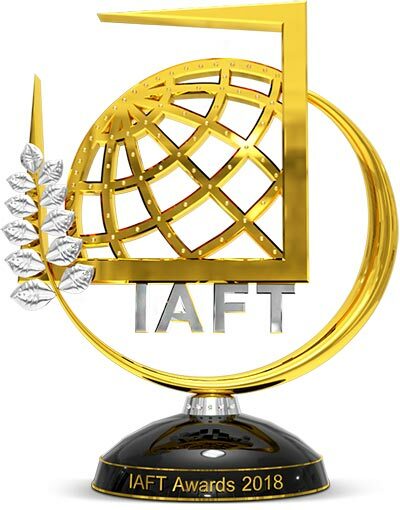 The IAFT Award was founded more than 7 years ago and now gives the opportunity to all traders, investors, partners to vote for the companies represented in the nominations. According to the results of voting on the official website of the IAFT Awards, which ended on December 30, NPBFX was awarded with “The Best Broker of the CIS 2018”. NPBFX got the overwhelming majority of votes among all the brokers represented in this nomination which indicates the leading position of NPBFX in the CIS market and confirms the reliability and quality of the services provided by the company. We thank all the traders who voted for NPBFX in such a significant nomination!